« GREAT VALUE! Richmond Alexandra Court at Alexandra Gardens Community – Master Planned Neighbourhood by Top Rated Polygon Developers! Located at 16th and St. George in Vancouver’s South Main district, Soma Living townhomes offers stylish one, two and three bedroom SOMA Townhouses for sale. Featuring open floor plans and distinctly urban finishing details, the SOMA Vancouver townhomes are within easy walking distance to local transit, the Olympic Village, Mount Pleasant Community Centre as well as the eclectic offerings of Main Street. Be sure to check out the private rooftop decks where you can savour summer sunsets and spectacular panoramic views of the North Shore mountains. This rare opportunity to own in the South Main District is now here at the Vancouver SOMA Living townhomes. You can visit www.somaliving.ca for more information and to register your interest. 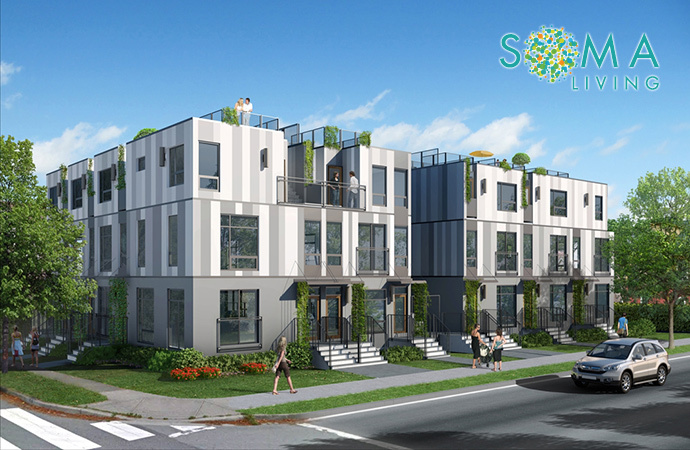 The presale Vancouver SOMA Living townhomes are located at 16th and St. George and feature 1, 2 and 3 bedroom floor plans. Modern homes in a trendy Mt Pleasant/SOMA neighbourhood are now here. Marketed as: modern, spontaneous, youthful, distinctive. The Vibrant Community of South Main Vancouver. Enjoy the lifestyle that everyone deserves. The new SOMA Vancouver Townhouses are built with incredible attention to detail and quality materials. All homes are protected by the Pacific Home Warranty. The SOMA Living Vancouver townhomes are designed by Birmingham & Wood Architects and Planners and have state of the art rainscreen technology protection of the building envelope. In addition, the new South Main Vancouver townhomes have thermally engineered premium double glazed windows and low maintenance landscaping with irrigation in common areas. The building has secure underground parking and storage lockers and/or in suite storage per home. There is a secure bike room and courtyard as well. The new Vancouver SOMA Living townhomes are located just two blocks of Main Street in the Mt. Pleasant district, also known as South of Main or ‘SOMA’ in Vancouver. This mature and truly established neighbourhood features old growth trees and heritage homes. Residents here can enjoy the walkable neighbourhood where you are just steps away from the best and most eclectic dining and shopping areas in town. You are one block away from an urban park and five minutes to downtown Vancouver by car or 15 minutes by transit or by bike. As well, Mt Pleasant Elementary school, Mt Pleasant Community Centre and Simon Fraser Elementary schools are nearby. Within walking distance is Vancouver City Hall and the Cambie District. The Vancouver Police headquarters and the Olympic Village are nearby. The interior features of these homes are unparalleled in this ever changing neighbourhood. The townhomes at SOMA Living in Mt Pleasant Vancouver feature warn and inviting interiors, open concept floor plans and private covered individual entries. Also, the homes have large windows for lots of natural light in addition to open plan great rooms. Some of the SOMA Living Vancouver townhouses have roof decks and courtyard patios which are great for entertaining and relaxing year round. The incredible features that are standard in these town homes include pre wiring for high speed internet, dual flush water conserving toilets, efficient front loading washer and dryer in laundry closet, modern gas fireplaces and premium KitchenAid stainless steel appliance set. 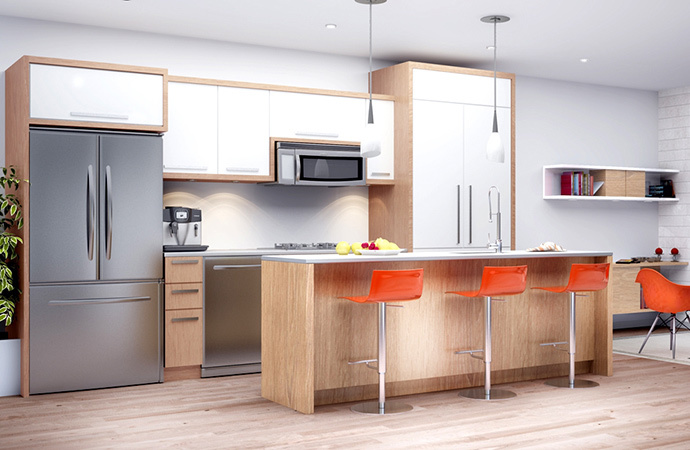 In addition, the presale Vancouver SOMA Living townhomes have high end kitchens that include lacquer dual tone and modern white oak cabinetry. The kitchens also have white quartz counters and backsplashes in addition to beautiful detailing and appliances. The ensuite bathrooms as per floor plan have luxurious rain shower heads and many of the floor plans have large storage and flex spaces. There are engineered white oak hardwood floors and elegant touch, stain proof carpets by Kraus or upgrade to engineered hardwood flooring throughout including the bedrooms. 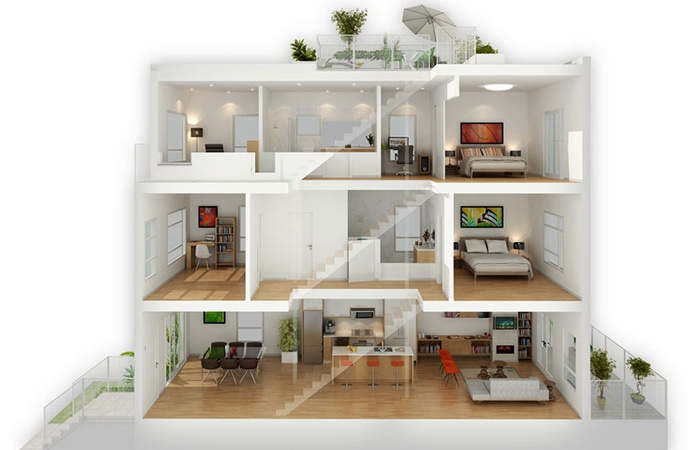 As a part of a continuing effort to improve the product, the developer reserves the right to make modifications to specifications features and floor plans without notification, size and dimensions are taken from preliminary survey plans, all renderings and illustrations reflected the artists interpretation and may differ from the final product. This is not an offering for sale. Any such offering may only be made with the applicable disclosure statement and agreement of purchase and sale. E & O.E. 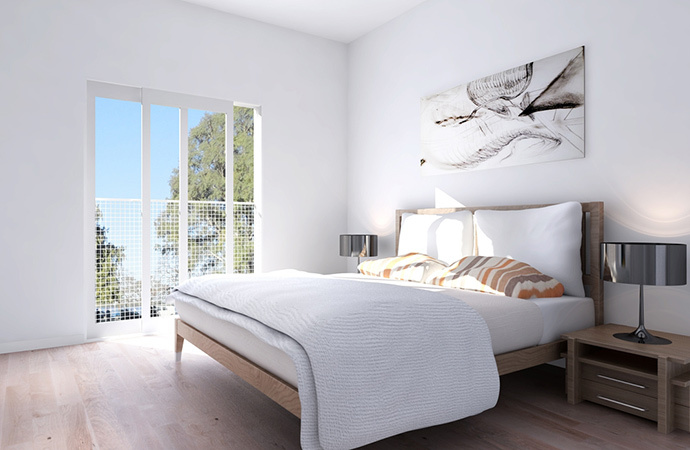 The East Van SOMA Living floor plans include: 1 bedroom, 2 bed, 2 bed+den, 3 bedroom and 3 bed+den layouts. Many are already sold out, but please contact the sales team for more information about availability and pricing. 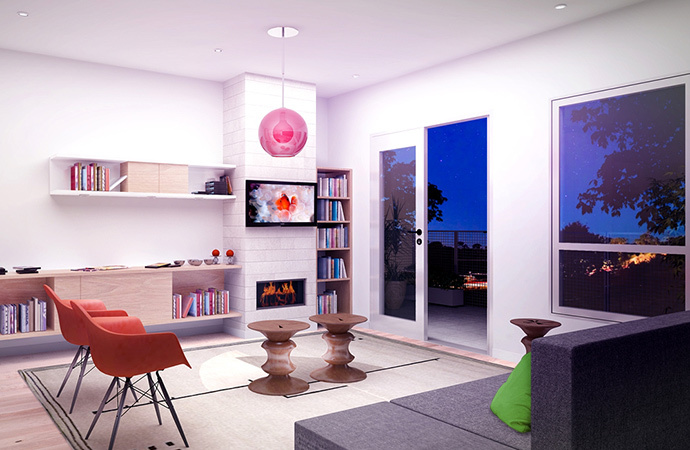 Here are a couple of our favourite floor plans that are featured on the SOMA Living web site. SOMA LIVING, A MODERN HOME IN A TRENDY NEIGHBOURHOOD AND CENTRAL LOCATION. Modern. Spontaneous. Youthful. Distinctive. The Vibrant Community of South Main. Located within walking distance to trendy boutiques, parks, antique and design stores, diverse groceries, restaurants and cafes, SOMA LIVING brings everything that locals love about Mount Pleasant, and is located only 5 minutes from Downtown Vancouver. ENJOY THE LIFESTYLE THAT EVERYONE DESERVES.